I found the cutest mini post it notes a while back and just recently re-found them while cleaning out my desk. The new Stitched Zig Zag die (medium size) fit perfectly onto the front so I turned it into a tag for my post its. Using the Zig Zag Die, I taped off the outsides so my stamping of the paper would stay inside the stitched section. 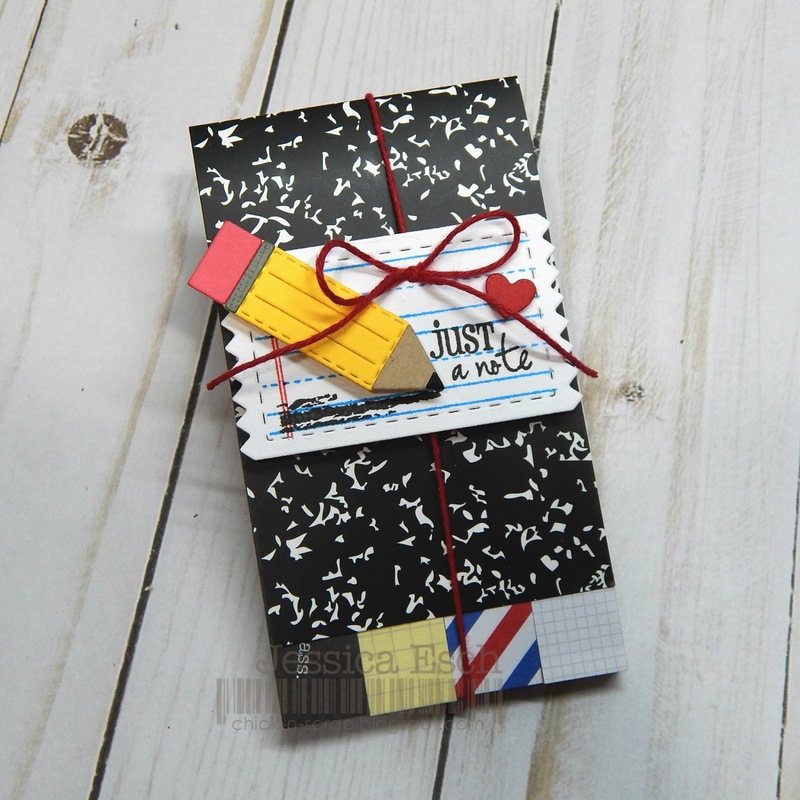 I used the Get Schooled stamp set and added my paper background. 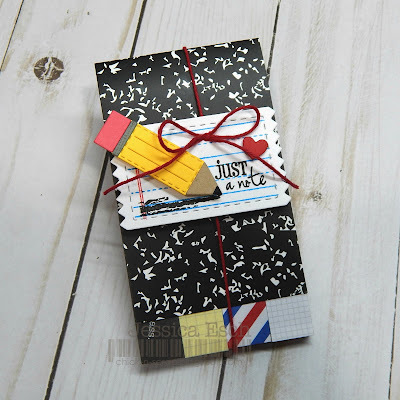 I grabbed the Many Greetings stamp set and stamped the "just a note" sentiment. That cutie heart is also part of the stitched zig zag die set and fit perfectly above my sentiment. 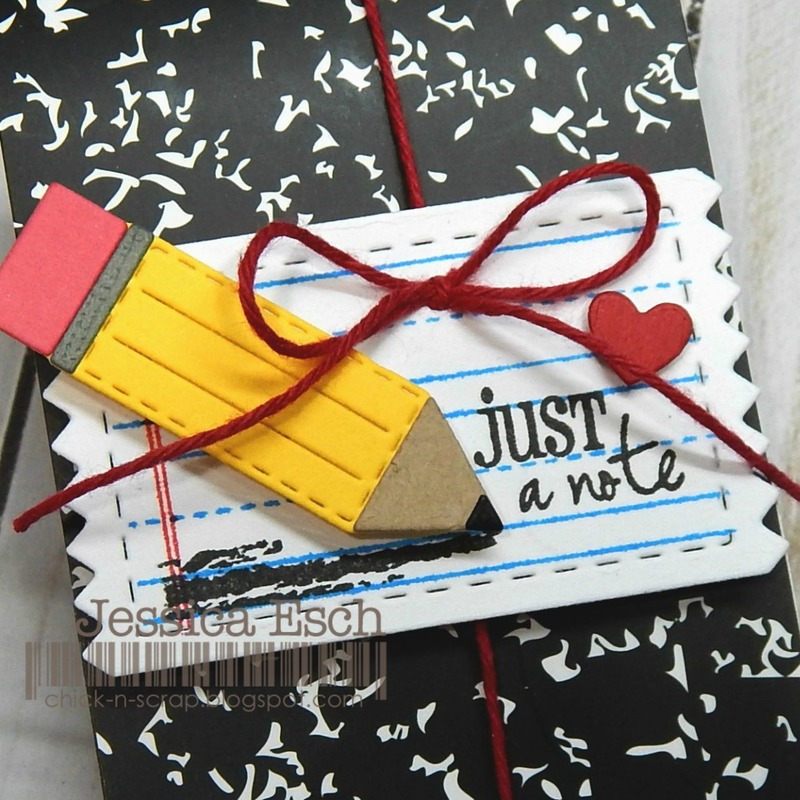 Moving onto one of my favorite dies~ that fun pencil from the Love to Learn set. I die cut all the pieces, assembled the pencil and then popped it up onto the front of my tag. The finishing touches to my tag was to wrap some Totally Red Trendy Twine around the notepad and tie my tag onto it with a simple bow. I hope you like my project!!! 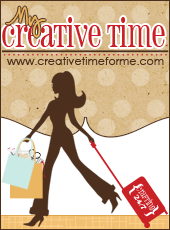 Make sure you head on over to My Creative Time to see what the rest of the DT made! I know the inspiration is AWESOME!!!! Thanks so much for stopping by and have a GREAT Tuesday!!! Tag is so cutely decorated on your post it notes! Love it! OMG Miss Jessica....What a Cool Post it notes project you created!!! First off I've never seen a post it note this cool...girl you've got the eye and absolutely a Great Find you so have the eye....I can only imagine how stoked you were when you re-found it!! Love the way you decorated it...totally super cool and very cleverly creative using all of Miss Emma's goodies. 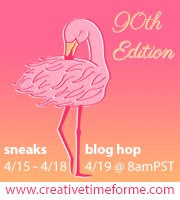 Love how you did the zig zag tag..so cool your post it note turned out Spectacular. So cute! Such a fun way to decorate post-its. Reminded me of the composition notebooks we used years ago. Very cute idea. This is so cute! I love the zig-zag dies! I am going to have to put them on my birthday list!